At Scranton Mixed Martial Arts we are very lucky to have such a great group of children who train with us at the academy. We are also very fortunate that we have such great support from the families of those children. Our approach to self defense training is a little different than what you will see at most martial arts schools in our area and we wouldn’t have it any other way. At Scranton mixed martial arts we feel the best way for kids to learn how to deal with bullies or learn how to defend themselves is to learn Brazilian Jiu Jitsu or BJJ. We teach our kids Gracie Jiu Jitsu which is designed to be easy to learn, safe to practice and very effective for all shapes and sizes. This is just a few of the reasons why we choose to have our kids focus on BJJ when they start training at the academy. In our kids bjj classes students learn the basics of self defense plus they will learn a bunch of very fun and exciting games that they will play in class with their instructors and classmates. These games help us build on the skills that we teach in class and it keeps the class very fun and exciting for the students. The games also helps us integrate new students into the class by keeping things fun and playful and allows new students to get to know everyone in a very fun and relaxed atmosphere. When a child trains in BJJ at Scranton Mixed Martial Arts there are an enormous amount of great lessons and skills that will be learned. I just want to highlight a few of them and then in a future article I will talk in greater detail about them. Really the list could go on for a few pages and some you might never think of that a child would learn while studying BJJ. That is one of great things about Brazilian Jiu Jitsu…. we get to teach some very valuable lessons that a child should learn all while having fun and getting in shape. 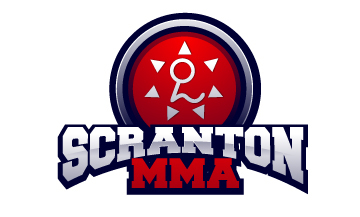 If you are interested in finding out more about Scranton Mixed Martial Arts, our programs and what we have to offer please enter your info below click the red button and we will be happy to answer any of your questions. At Scranton Mixed Martial Arts!